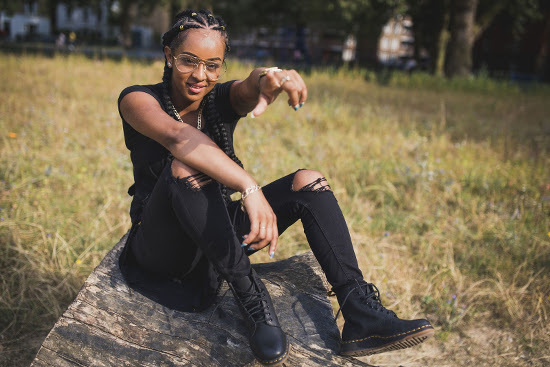 Iconic British fashion brand Dr. Martens have just announced Formation, Paigey Cakey and VANT as the first three headliners on its Stand for Something Tour 2016. A fourth, for a show in London scheduled for the last Saturday of November (and somebody’s birthday, hint hint) is yet to be announced. Twins Matt and Will Ritson, better known as dance duo Formation (pictured at top), will begin the series of #SFSTOUR16 on the 15th of October in Liverpool. On their participation in with the Stand for Something Tour, they said, “Formation means people coming together to express or celebrate something great. So we stand for a lot of things but ultimately it’s about standing together”. 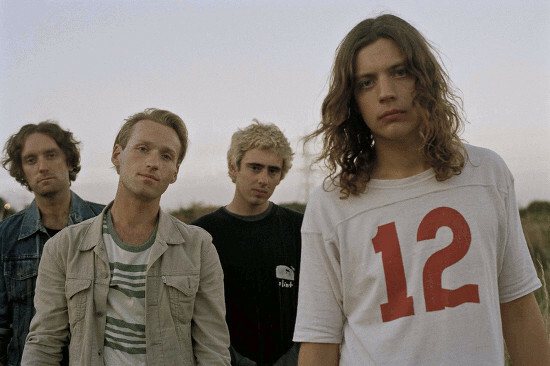 When asked the same question, politically charged band VANT replied, “We stand for equality, awareness of the environmental concerns of this planet and a better education for all of our children.” VANT released their EP ‘Karma Seeker’ last month. Of all the artists chosen to represent the strength of solidarity, Mattie Vant’s lyrics demonstrate well the strength of a dissenting voice during these uncertain times. To purchase tickets to the Dr. Martens Stand for Something Tour 2016, visit the Dr. Martens’ official Web site. Our friend, long-term collaborator and creator of the original ‘Best of Friends’ video Jim Tobias returned to direct the ‘On The Beach’ video for us. We wanted to create something live, simple, intense and low-grade with a summertime feel, but in a very British and overcast way. Instead of just giving you this one video on this Video of the Moment post, we’ve got you a bonus! The lads performed the single on The Late Late Show with James Corden in June, and you can watch their live performance on his American network show below too. Enjoy. Palma Violets perform the 10th of October at Norwich Owl Sanctuary as part of Dr. Marten’s #standforsomething UK tour this autumn. For more Palma Violets coverage on TGTF, go here. Dr. Martens has just announced Dutch Uncles, Palma Violets and Lonely the Brave as the first three headliners on its Stand for Something Tour 2015. As in the past, this year’s Stand for Something Tour will once again feature six shows in six different cities, each headlined by a different up and coming band. Though the headliners for the remaining 3 nights of the tour are yet to be announced, we at TGTF would like to take the opportunity to preview the three bands already lined up to play. Dutch Uncles, pictured in the header photo at top, released their most recent album back in February, the third in their discography titled ‘O Shudder’. They will appear at Tramlines, Kendal Calling, and Festival Number 6 later this summer before headlining the Glasgow Stand for Something show on the 26th of September. They will spend this November on tour in Europe and the UK with Garbage. When asked by the promoters of the Dr. Martens tour what Dutch Uncles stand for, the band responded in a very literal, yet humourous way: “Determinedly Underrated Tricky Choruses Housed in Uncompromisingly Natured Cadenzas and Listened to Enduringly, Sort of.” Previous TGTF coverage of Dutch Uncles is right this way. 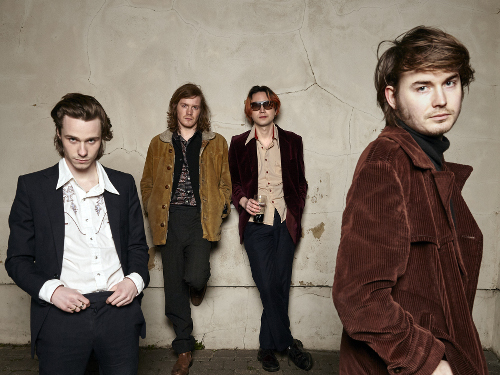 London’s Palma Violets have already had a bustling 2015, headlining the NME Awards Tour in February and March, then releasing their second LP ‘Danger in the Club’ in May. Their summer vacation plans include the ongoing Glastonbury Festival, as well as T in the Park and Reading and Leeds. They will headline the Dr. Martens show on the 10th of October in Norwich before heading out on selected tour dates with The Vaccines in November. For our previous coverage of Palma Violets, click here. 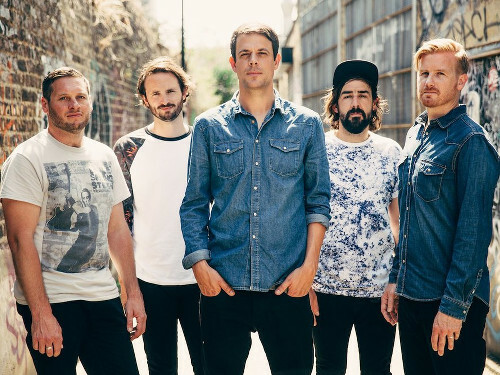 Moving forward from their support slot on last year’s Stand for Something Tour, Cambridge quintet Lonely the Brave will headline the show on the 7th of November in Belfast. They have just released a new version of their debut album ‘The Day’s War’, which they have dubbed the ‘Victory Edition’. The new release includes remixes and live versions from the original album as well as 12 previously unreleased tracks. Building upon their already substantial fan base, Lonely the Brave will play summer festival dates at T in the Park and Reading and Leeds ahead of the Dr. Martens tour. Our previous coverage of Lonely the Brave is right back here. Following are the announced dates, venues, and headline acts for the Stand for Something Tour 2015. Check the Dr. Martens Web site for updated information as the live dates approach. I have to admit, the title of Palma Violets‘ latest released video doesn’t conjure up the most schoolgirl-y type thoughts, ha. The actual promo for ‘English Tongue’, surprisingly, is a pretty muted affair, with the most offensive thing being the giant hats worn by the crazy pastor and the band’s own singer while the band performs in a church. Palma Violets also sound more like the Vaccines than the Vaccines do these days. Watch the video below. ‘Danger in the Club’, Palma Violets’ second album, drops next Monday, the 4th of May, on Rough Trade. Officially billed as “the NME Awards Tour 2015 with Austin, Texas”, both the award and the tour count the host city for SXSW 2015 as a primary partner. Tickets for the following shows are available now. NME darlings Palma Violets have revealed a massive tour for this coming winter. Tickets are available now.